HD does not have a simple pattern of inheritance (it is a polygeniccondition meaning it is controlled by several different genes) and whether an animal will develop HD is also influenced by external factors such as diet and exercise. At present, the incidence of HD in the breed is being monitored to determine if there is a problem. 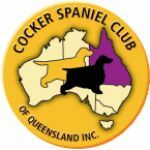 In the UK the median hipscore for the breed is currently 10 (source: The Cocker Spaniel Club UK) the median hipscore in Australia is 16.1. Looking at the wide variation of the median score, it would appear that breeders in Australia are working hard to reduce the incidence of HD in the breed, and using the CHEDS scheme by the ANKC. The CHEDS (Canine Hip and Elbow Dysplasia Scheme). Dogs are radiographed by a Veterinarian and the xrays and submission form are sent to a panel for scoring.